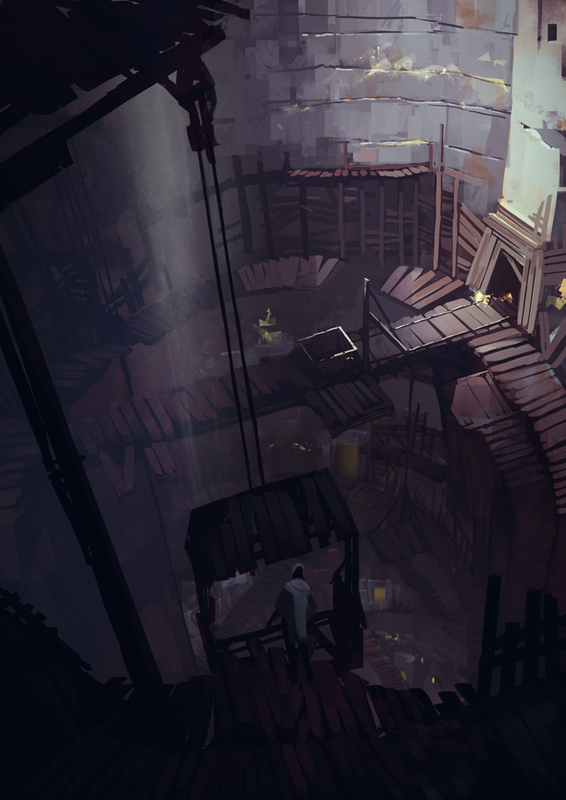 We promised that we’d give news in July on the upcoming expansion, so here are more details on what you can expect when we release the free Absolver Downfall expansion in September 2018, along with other news from the studio. We’re currently putting the final touches to the expansion, and are super excited to share this content with all Absolver players very soon! Battle deep in the mines of Adal as a solo warrior or in online cooperative play, collecting Gleam from infected Prospects and transforming it as a reward for your deeds. The more Gleam you capture, the more powerful you become in your struggle to defeat the Corrupted, and even Arcell himself. Each run through the Mines and Temples is a unique path through a variety of challenges and situations, facing upgraded enemies, and three epic boss fights. Inspired by Bruce Lee’s Jeet Kune Do, the Faejin Combat Style blends defense and offense with percussive strikes and fluid power. The new approach is a complex style for experienced Absolvers, featuring different defensive abilities that depend on both input and stances. Faejin will feature 26 attacks for bare hands and wargloves, alongside 15 sword attacks. In the Downfall expansion, we’re introducing a new way for players and Schools to compete with each other: School Challenges. Absolvers who have reached the Disciple rank in a school (or who are Mentors of their own) can participate in School challenges, by using their school’s decks and powers in 1v1 Combat Trials. All wins representing one’s school count in the School challenges, with individual and collective performances of the schools bringing fresh rewards every three weeks, at the end of the season. Alongside the new Game Mode, Combat Style, and School Challenges, new equipment will be featured in the Downfall expansion, with six brand new full sets (51 total pieces of equipment), plus two prestige variants of existing sets to be found in the Essence Shop. 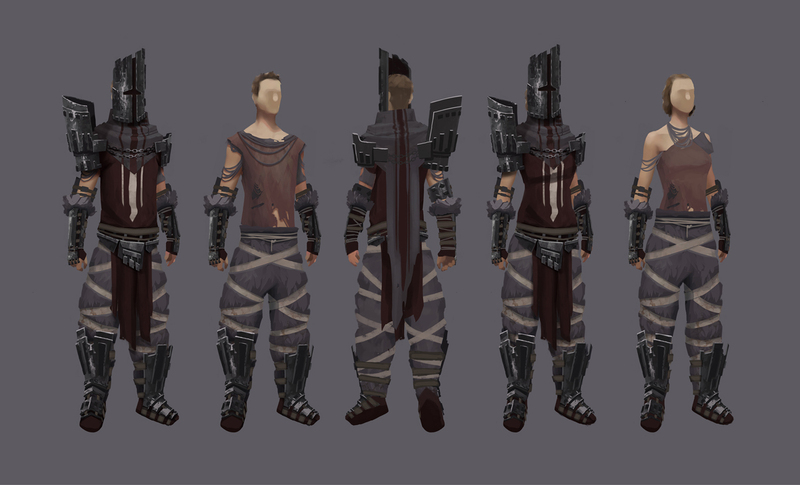 New masks will also be found in the Mines of Adal, as well as new wargloves and swords. Finally, original emotes will also be found in the Essence shop: 6 new emotes and 3 new PvP intros. We receive very frequent requests from Xbox One players who want to know when Absolver will be released on the platform. While we can’t give a precise date yet, we are working on the Xbox One version in parallel to the rest of the developments. The online architecture of the Xbox Live is quite different from both Steam and PSN, and therefore requires significant efforts to adapt and ensure all the systems run smoothly. We will keep everyone updated on progress and release date as development progresses. Our team is thrilled to expand the community as Absolver is free with PlayStation Plus on PlayStation 4 this month. We’ve had tons of new players jump in just the past couple of weeks and hit more than 30k concurrent players on PS4, so now is a good moment to come back to the game! Additionally, we’re planning a Steam Free Weekend soon as well to bring in new recruits to the Combat Trials! In the past nine months, we’ve been flattered by players offering to pay for additional content in order to support the team. We also wanted a way for players who got the game for free on PlayStation Plus to be able to show their support too, so we’ve created a special content pack that contains cool variants of the Forest Caller and Dancer sets, a new sword based on River Gladius, and five new emotes to strike fun poses with your friends! These items have the same stats as items already obtainable in-game, and don’t offer any extra gameplay advantage. If you want to show your support and upgrade your look, please check out the pack when it’s available on Steam and PlayStation 4 for 2.99$/€ next week. Again, all the content of the Absolver: Downfall expansion will be free to enjoy for all existing and new Absolver players when it arrives in September.